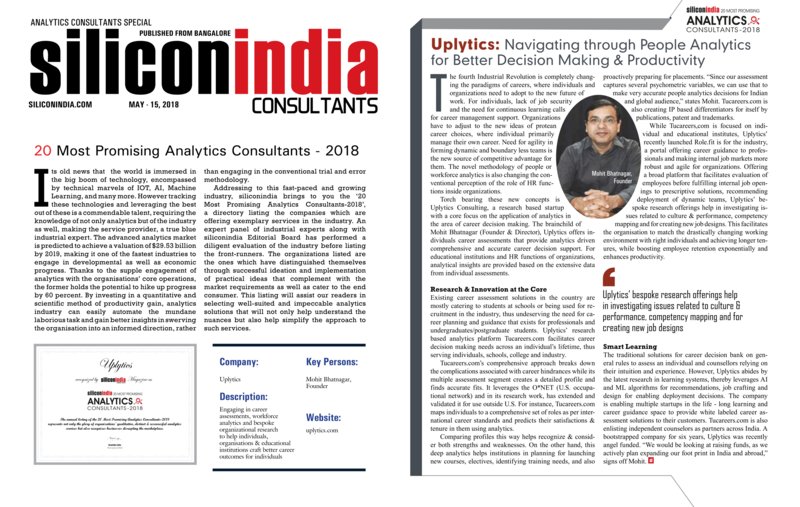 About Uplytics Consulting Pvt. Ltd.
Uplytics is a startup recognized in the Govt. of India's startup program with a focus on analytics and IT for improved business performance and decision making. Uplytics is based in Lucknow, the capital of the most populous state of India (UP). One of the driving force for the founding team of Uplytics is to support job creation and inclusive growth in the state of UP, which produces the most graduates in India, has excellent mathematics and language skills at school level1, and has some of the best institutes for higher learning’s, however has not been able to deliver on its potential in the Indian Knowledge Industry.